A Barlow lens doubles the magnifying power of your eyepiece by doubling its effective focal length. For example, an 18mm eyepiece used with a 2x Barlow lens would have the magnifying power of a 9mm eyepiece. It’s like having two eyepieces in one! If you’re looking for an affordable way to achieve high-power viewing of the moon and planets, double stars and even close-up views of terrestrial subjects, a Barlow lens is the answer. 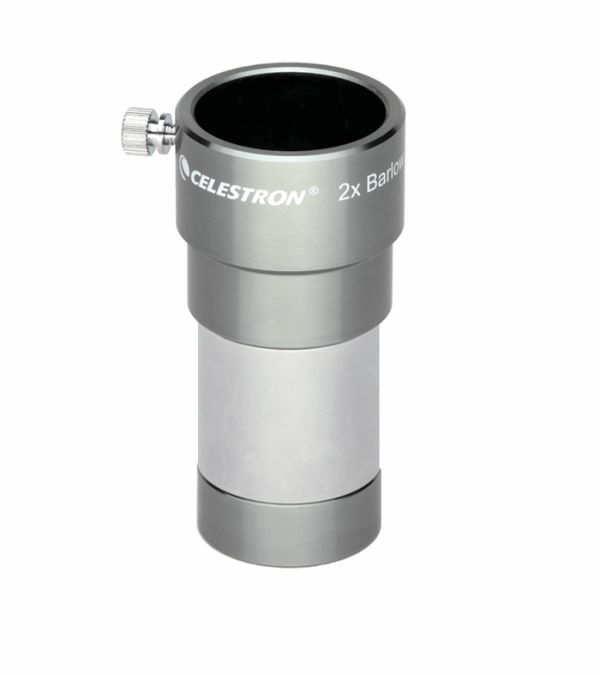 Barlow lenses mount into either your telescope’s focuser or visual back.